NOTE: This guide will walk you through modifying or downgrading account type and or account features. This method Cancels all active subscriptions and downgrades your account to a "FREE Account"
Log in and click the Upgrade tab. Visit your "Order History" Page and click "modify" link next to the active subscription you wish to change. Note: All modifications or downgrades to your account can be done prior to clicking "ORDER NOW"
-Click the button and proceed with checkout. Account Level Downgrades are completed on your next "Reset Date." Upgrades take effect immediately. 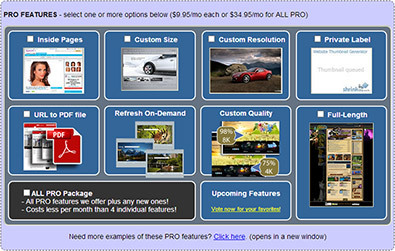 -Select the PRO features you want and/or deselect the PRO Features you no longer desire. -Click the "ORDER NOW" button and proceed with checkout. -Enter the desired quantity in the provided field. "BANDWIDTH" is downgraded in units of 1GB. -Enter the desired quantity in units of 1 in the provided field. Bandwidth and New Request Downgrades are completed on your next "Reset Date." Upgrades take effect immediately.